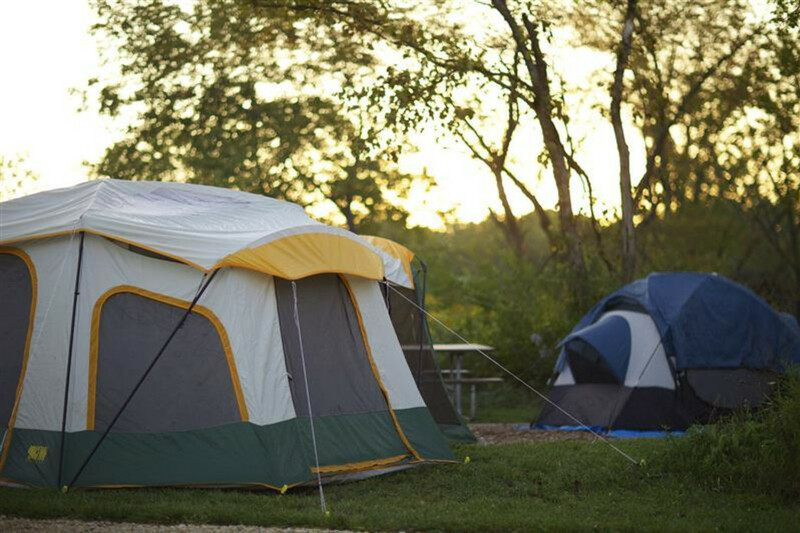 This forest preserve offers a scenic campground for a short escape in DuPage County. One day to a few days. Blackwell offers the most to do among the forest preserves, and is a popular destination for fishing, boating, hiking, biking, archery—even tubing down the 836-foot Mt. Hoy in the winter. Blackwell Forest Preserve is part of a wide swath of green space that surrounds Butterfield Road in Wheaton and Winfield. Blackwell, Warrenville Grove, St. James Farm, Herrick Lake and Danada are all connected by trails. 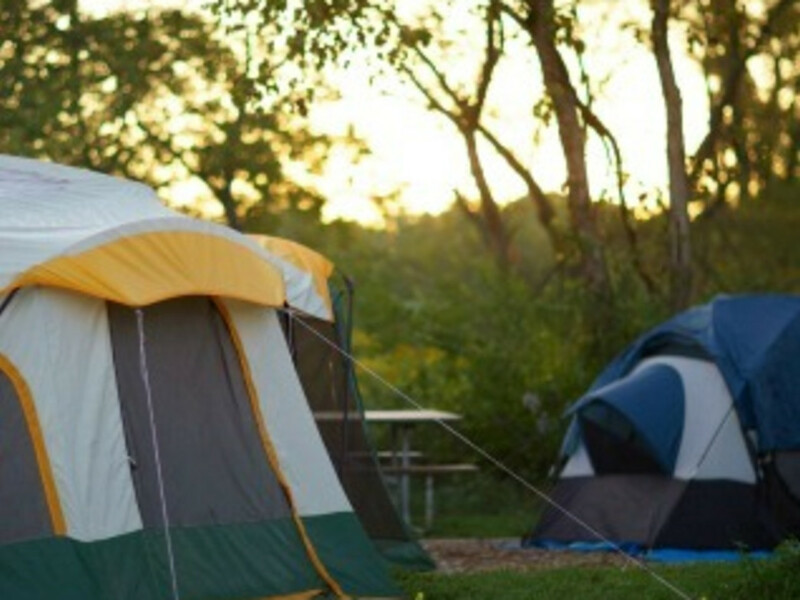 It is the only place among the group that offers camping, with 64 wooded and semi-wooded sites that are available by reservation on a first-come, first-serve basis. The preserve was settled in the 1830s by Erastus Gary (also the founder of Gary, Ind. ), who opened a mill on the property (Gary’s Mill) along the west branch of the DuPage River. 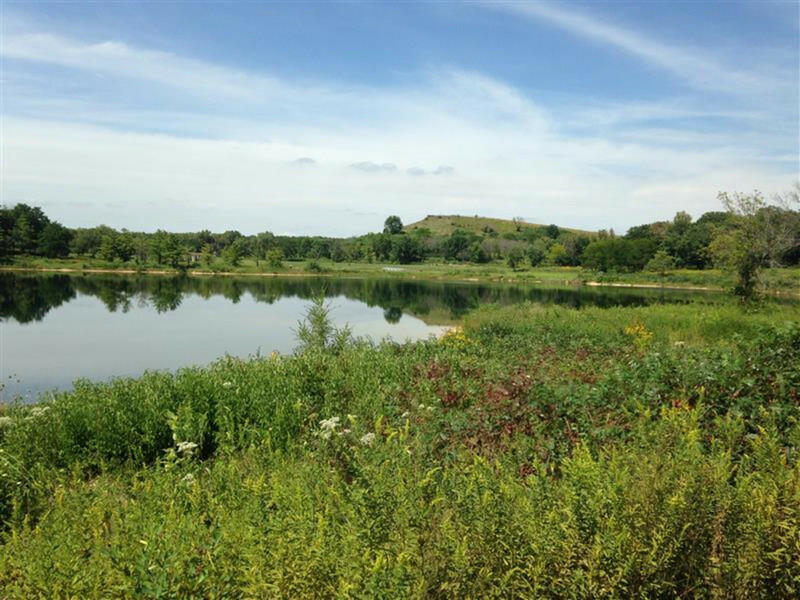 The district first bought land for the forest preserve in the 1960s, when it decided it could convert a former quarry into a basin for storm water that could also be used for recreational activities. That would eventually become Silver Lake. Another part of the preserve was used as a county landfill from 1965 to 1973. That eventually was turned into Mt. Hoy, the dominant feature in the south side of the preserve. 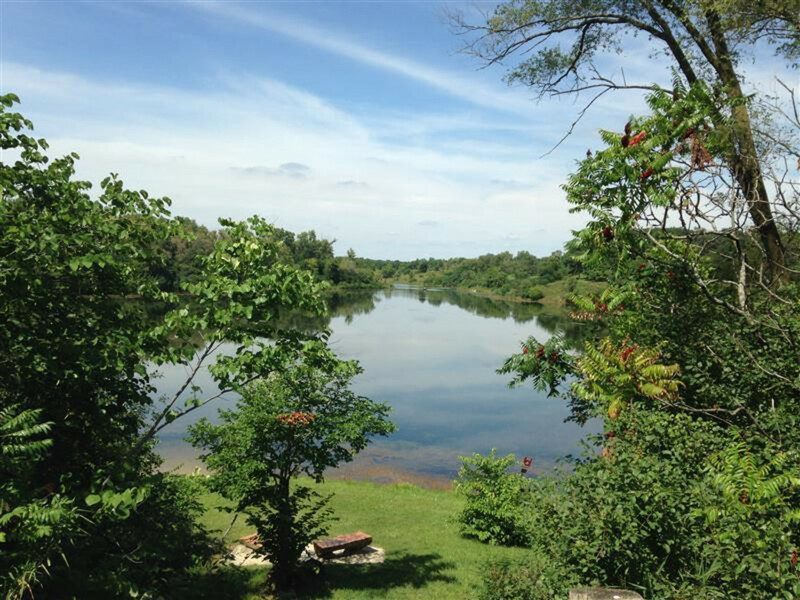 The 62-acre Silver Lake has become a popular destination for paddling and fishing, with bluegill, catfish, crappie, largemouth bass, northern pike, rainbow trout and walleye all making their homes in the lake. Two additional lakes in the preserve can also be used for fishing (White Pine Pond and Sand Pond), but they aren’t accessible by boat. 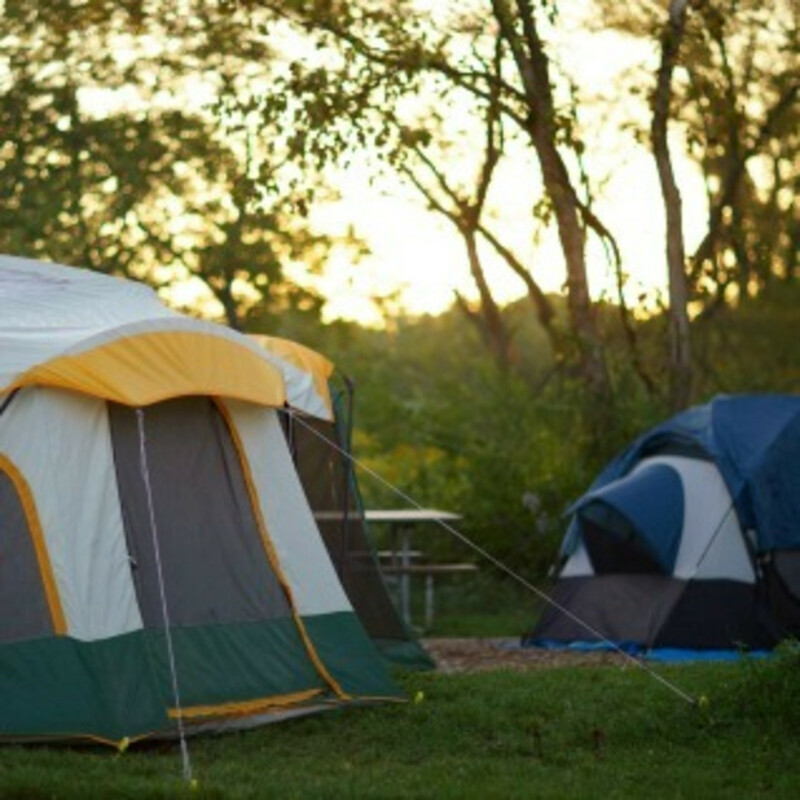 The amenities are perfect for a quick day or weekend car-camping trip. Each site features a gravel parking pad, a fire ring and a picnic table. Restrooms with showers and running water are a short walk from all the sites, which are each situated off of a gravel road in a figure-eight configuration. In addition to the fine camp ground, you have easy access to Silver Lake, which features a wide boat launch that makes it easy to drop-in both canoes and kayaks, with plenty of parking nearby, including for trailers. Keep in mind that the forest preserve requires that all canoes and kayaks be registered with the Illinois Department of Natural Resources. (You need to do this to paddle on any Illinois waterway, but park rangers here are diligent about checking.) You’ll also need to purchase a DuPage Park District daily or yearly permit to boat on Silver Lake ($7/day or $35 for the year), and rangers check for that as well. You can rent canoes, kayaks and boats with an electric trolling motor by the day or by the hour in season. There are plenty of picnicking facilities surrounding the lake, and two fishing piers give kids a place to drop a line when others may be in the boat. You can also hike or bike the gravel trails in the park, or check out the Egret Trail, which is a grassy, tree-lined trail just off the camp ground. Park rangers offer nature walks and other informational activities for campers on most weekend nights during the summer. 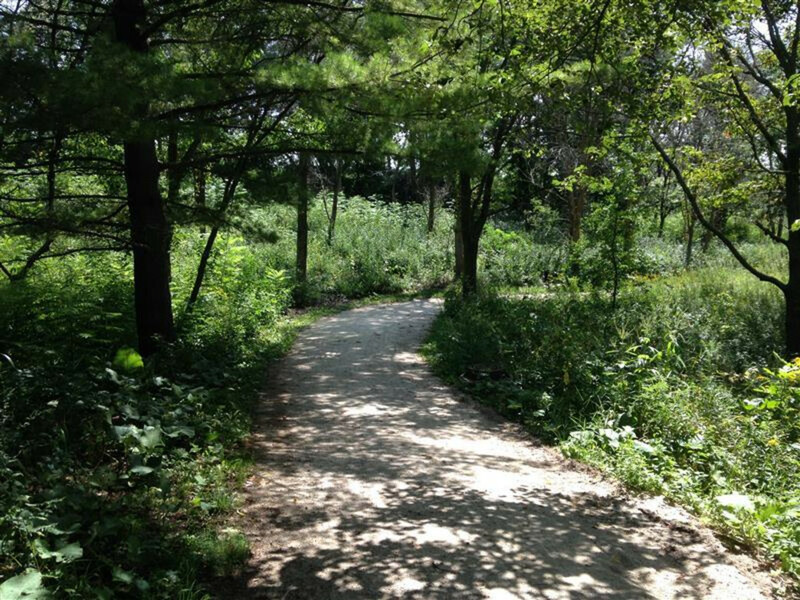 The area is a popular spot for bird watching, and it’s also the home of coyote, red foxes, sandpipers and muskrats, according to the DuPage Forest Preserve. Families, fishermen and anyone looking for an easy way to get away to the outdoors close to home. Parking at the Blackwell Forest Preserve is easy, with entrances and parking lots from both Butterfield Road and Mack Road Road. Like all DuPage County Forest Preserves, Blackwell is open from one hour after sunrise to one hour after sunset. The campground is closed to visitors some time after sunset. Check with the guard station for specific information.